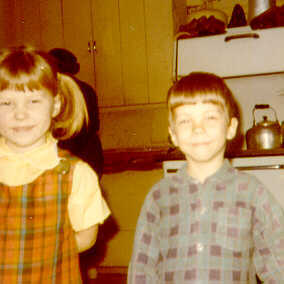 We stayed in Chilliwack until July 1971. I should mention that my father was in the Canadian Armed Forces, and part and parcel of that is traveling every few years. 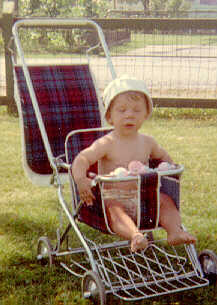 After Chilliwack, we went to Ottawa until July 1972. The summer of 1968. I blinked. 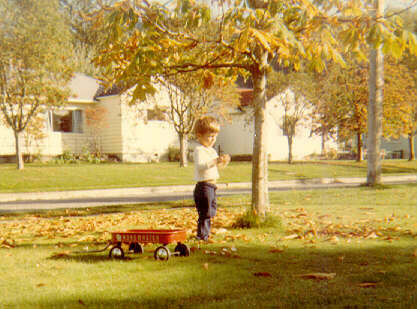 Picking up acorns with my little red wagon, in front of the house in Chilliwack. Someone put that towel in the water? Who, me? 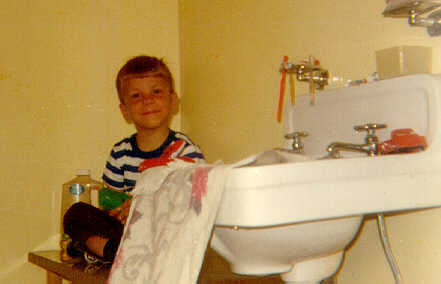 Christmas, 1971, at my grandparents' place in Fredericton. That's Angela to my right.